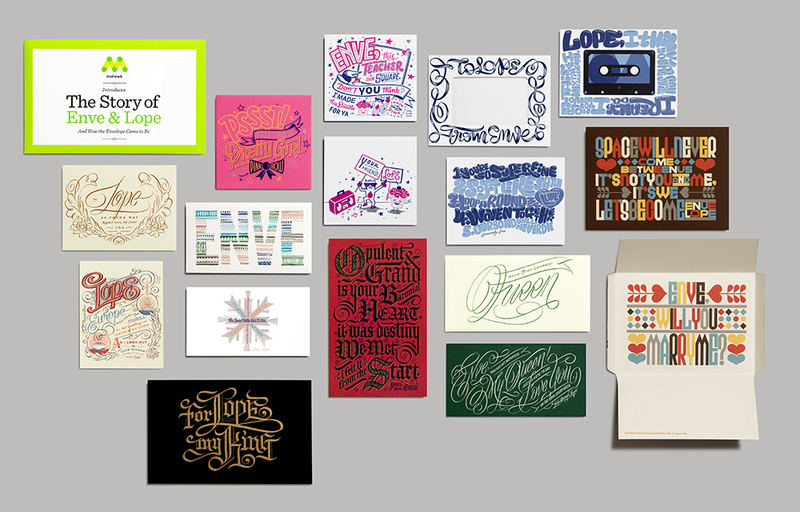 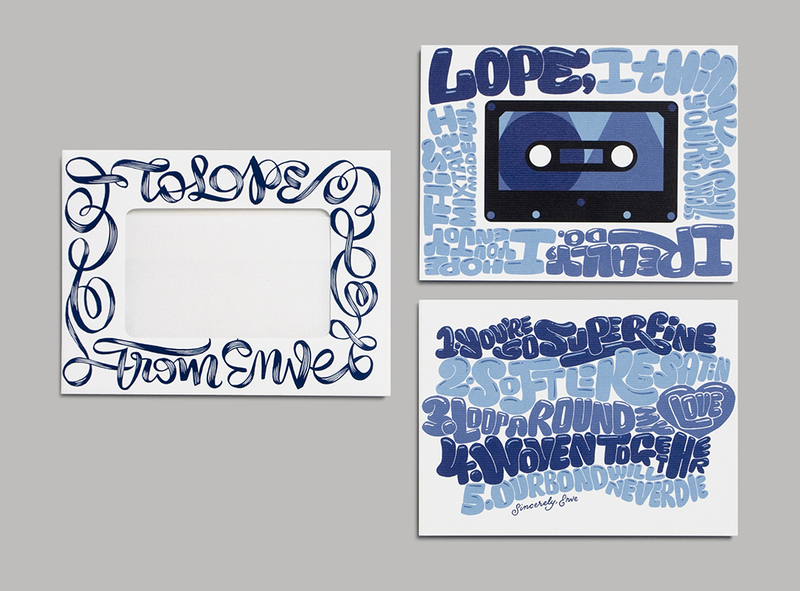 For this year’s envelope sampler Mohawk Fine Papers worked closely with the talented Katie Barcelona of Room 207. Who wrote and art directed The Story of Enve & Lope, How the Envelope Came to Be. 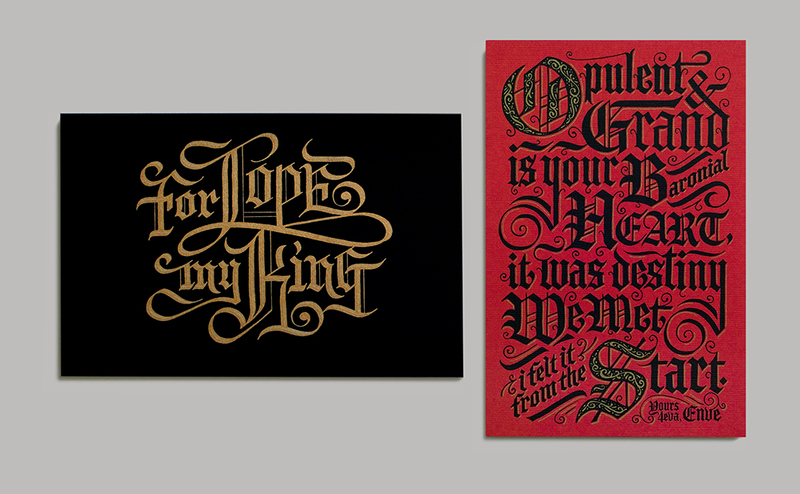 I was brought in to bring life to this tale via lettering and illustration. 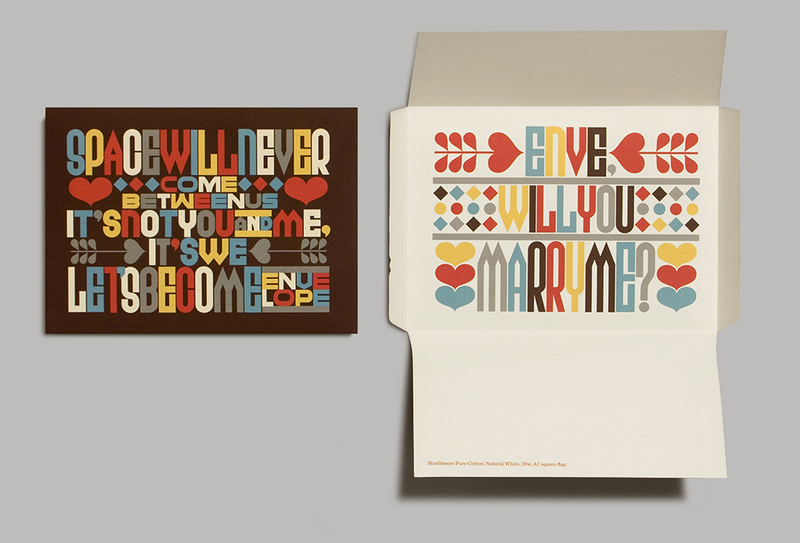 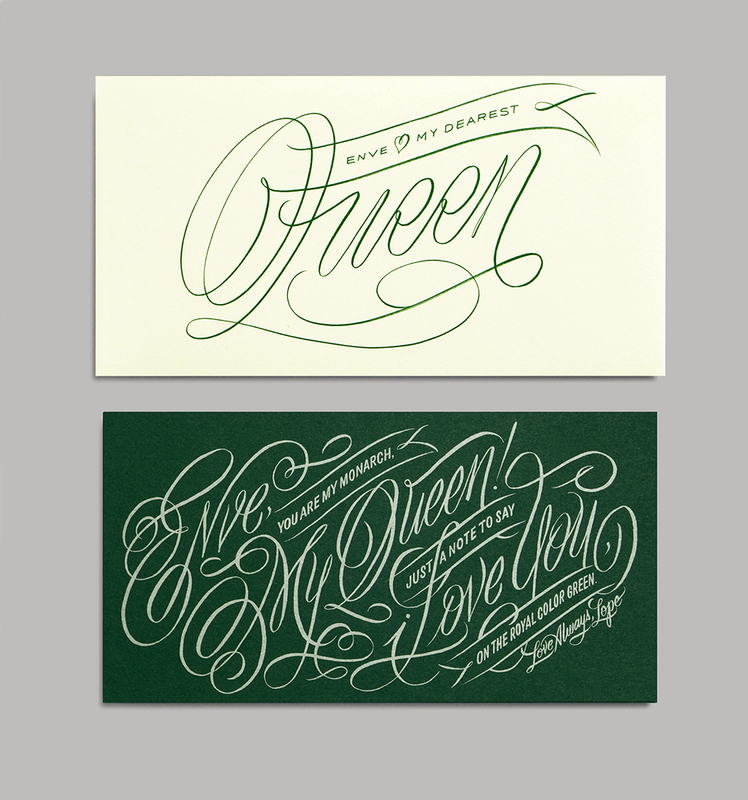 Each of the seven unique envelopes subtly correspond to a moment in time that depicts how their love slowly grows for each other. 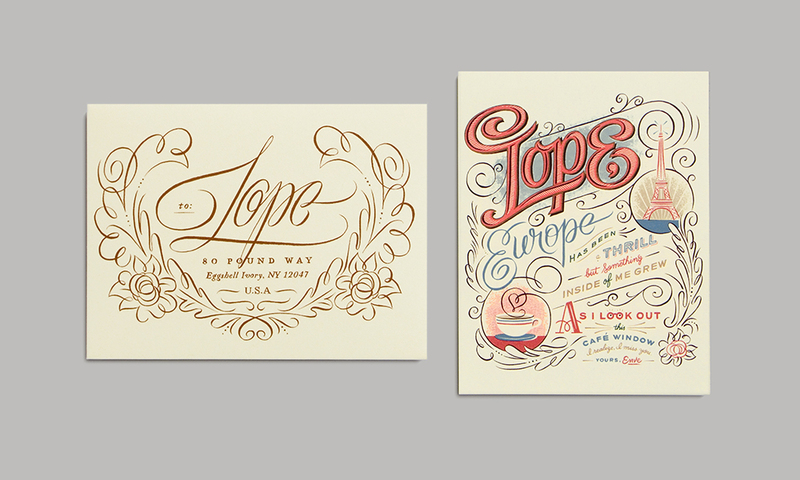 You can order your free sample of it here (while supplies last).